Alexander Knight has been making a real impression on the music scene. A graduate of the Sydney Conservatorium of Music with an Advanced Diploma of Opera, Alexander is one of the most in-demand young baritones in Sydney. He has worked with the distinguished conductors Richard Gill, Brett Weymark, Roland Peelman and the acclaimed English composer Gavin Bryars, and has performed with many of Australia’s premier ensembles, including Sydney Philharmonia Choirs, Sydney Chamber Choir, Adelaide Chamber Singers and the Song Company. Operatic roles include the Forester in Janáček’s The Cunning Little Vixen, John Brooke in Adamo’s Little Women, Le Podestat in Bizet’s Le docteur Miracle, Figaro in Mozart’s Le nozze di Figaro and Arthur/Officer 3 in Peter Maxwell-Davies’ The Lighthouse with Sydney Chamber Opera. Concert appearances have included Mahler’s Lieder eines fahrenden Gesellen with SSO Sinfonia, Britten’s War Requiem, Orff’s Carmina Burana, Brahms’s Ein deutsches Requiem, Bach’s Ich habe genug, St. John Passion, Magnificat and Christmas Oratorio, Arvo Pärt’s Passio, Purcell’s Dido and Aeneas alongside Fiona Campbell and many more. In addition, Alexander has performed at the Edinburgh Fringe Festival, the Adelaide Festival and the Adam Chamber Music Festival in New Zealand, and in 2013 he received the audience prize and was a finalist in the IFAC Australian Singing Competition. On 01. 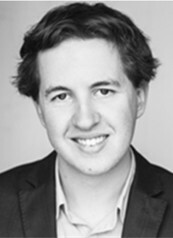 August 2015 he received the German-Australian Opera Grant in Melbourne and will depart to Germany in May/June 2016 to become part of the professional ensemble at the Hessisches Staatstheater in Wiesbaden for one year.